Fairy Dust is a muted tone with lots of complex interference colors made to resemble the inside fire of an opal. It looks grey in the jar, but once you apply it – especially wet, it takes on an other-worldly multifaceted intensity. Because it’s so complicated it matches so many different colors. Our eye shadows are amazing – we have 100 colors and counting! If you’ve had trouble with mineral eye shadows in the past – kiss them goodbye. Ours don’t crease, or fade – they last for hours and hours – and the colors are divine! To date, SN has over 200 eyeshadows ranging from different colours to different finishes, all unique and handmade. Each product we make is unique to Silk Naturals. They’re all handmade from scratch using the formulas we’ve developed and tested over the years. We do not repackage pigments. 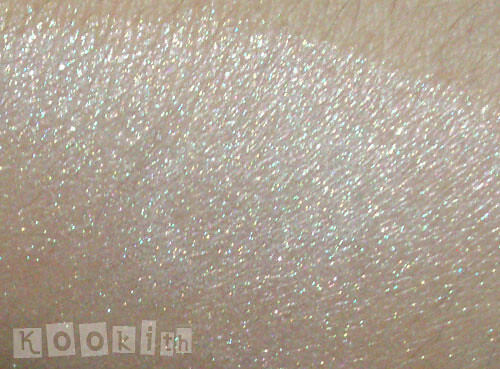 Fairy Dust is an apt name for this glorious eyeshadow. Looking into the jar and seeing the multi-coloured shimmer twinkle back at me reminds me of Tinkle Bell’s pixie dust in Peter Pan. The swatch picture on the website is quite inaccurate as it really isn’t all that green. 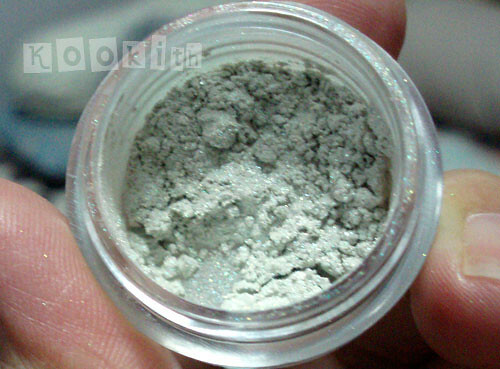 In person, it actually looks more like a pale greyish-green, and it applies sheer. 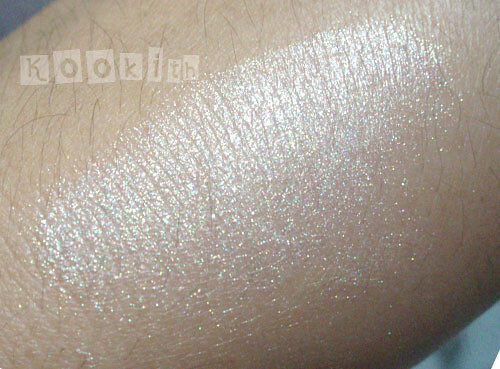 The shimmer is extremely complex, and it changes from green, gold or even blue depending on the lighting and angle. The eyeshadow applied like silk (well, duh! ), and blended easily without losing its shimmer. I had expected to find my cheeks covered in glitter, and was surprised that there was no fallout. There was little fading and the eyeshadow lasted all day. Because I’m tanned, Fairy Dust is quite sheer on me, so I usually layer this over a darker colour for that extra sparkly effect. Fairy Dust, indeed. Absolutely stunning. SN does not offer sample sizes for eyeshadows, but all full-size products come with a 100% satisfaction guarantee. Also, for every $30.00 you spend, you will receive a full-size jar of eyeshadow of your choice, free! Recently, the owner, Karen, had also extended the choice of freebies to include lipbalms as well. SN, oh how I love thee.